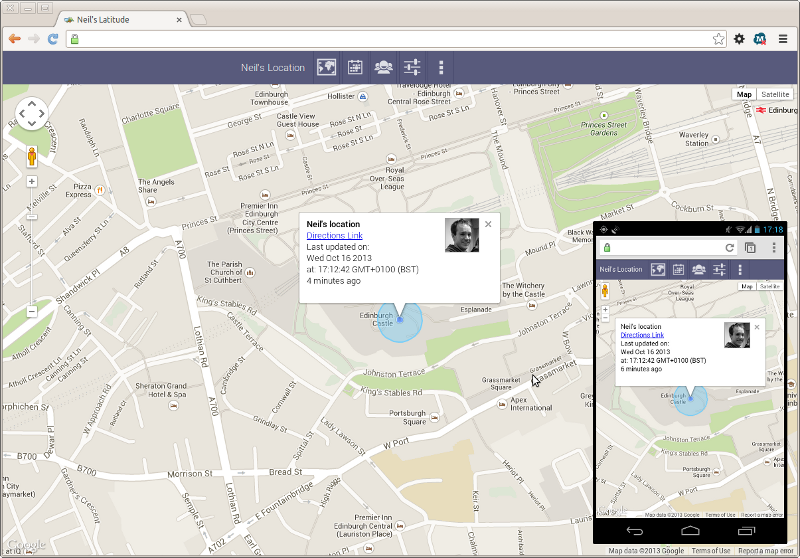 This is a Google App Engine project for creating a personal latitude server replacement. The app creates an endpoint for the backitude Android app to send location updates to. (Endpoints for other apps could be add if requested). It then enables the owner to view his current location on a Google Map. You can also grant access, via one use URLs, to other users allowing them to view your location. Once granted their Google Accounts are linked to the app and they will continue to have view access to your location. Anyone who does not have access is not allowed to view your location data. If there are features you would like adding please add an issue and I will see if I can add it. This xda forum is also being used to chat about server side development with backitude. Make two Apps talk to each other. Enable the friends icon. Enable a bread crumb viewing mode so friends can see your location move on each update.